I have exciting news! The photographers finished the wedding pictures! I am so thankful for all their hard work and getting these pictures back to us so quickly. I will be sharing them a few at a time (not all of them) but the highlights over the next few weeks. All these photos were done by Forever Photography in El Dorado, Arkansas. They did an amazing job! If you need a wedding photographer in our area, I highly recommend them. 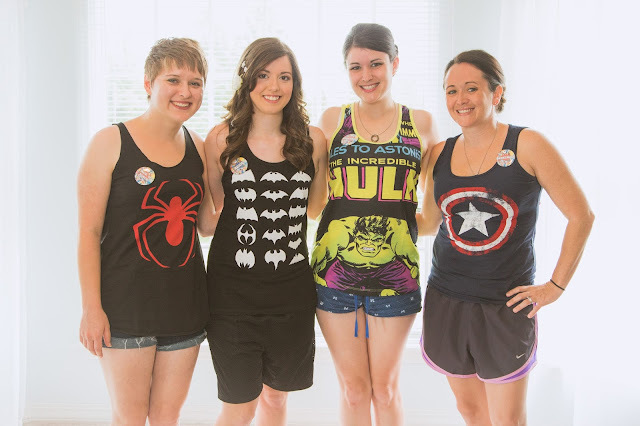 Maid of Honor, Reese's, Tootsie Pop and Lollipop in their super hero shirts! 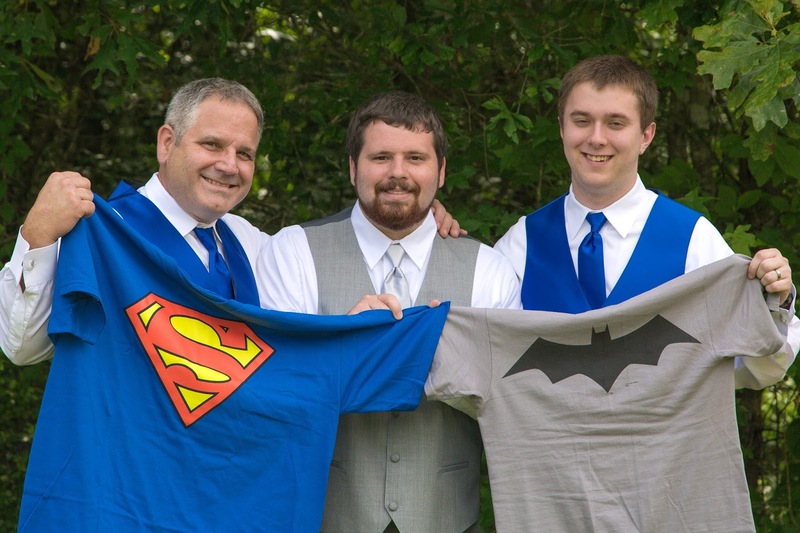 Best Man (aka Toby's dad), Toby and Skittles with their super hero shirts. The guys got dressed a little early so they didn't have their shirts on for the photographer. 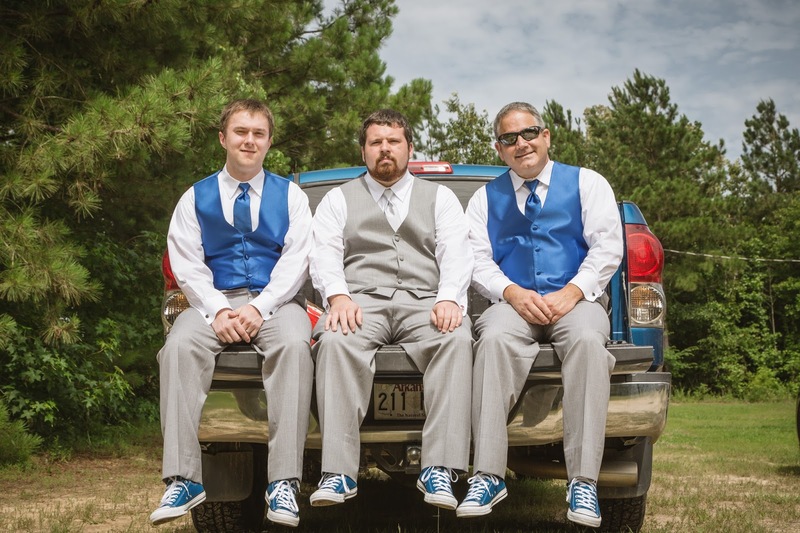 The groomsmen and groom all wore the Larkspur blue Converse for the wedding! All the bridesmaids wore matching Converse. 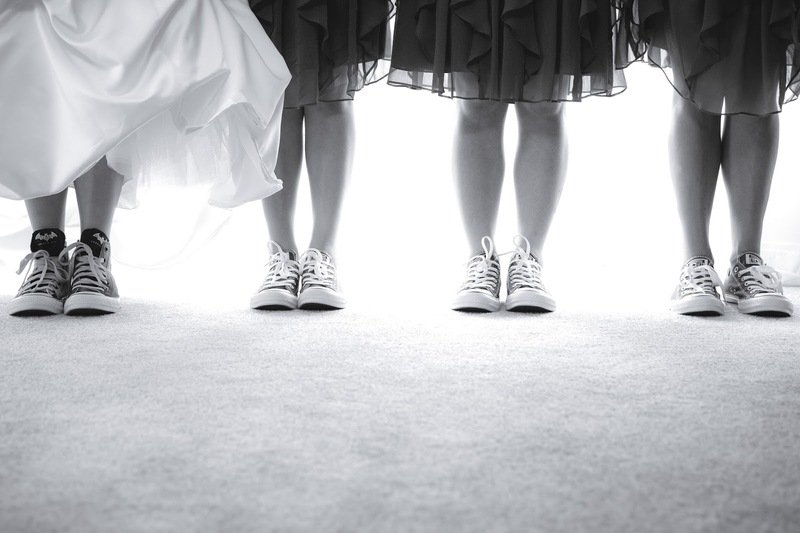 The bride, of course, wore custom-made Batman Converse with the wedding date embroidered on the back heel. Here's your black and white photo for the week! I promise there will be more . . . but you will have to tune in next week to see more. I'm sure you have some cool black and white photos to link up this week! Go ahead we're be here all week! Greetings from Germany, have a nice day. Well done my friend!! Thanks for sharing the pictures. I am also going to host my engagement party in Port Macquarie. So I am looking for the recommendations for a local Port Macquarie Photographer. Do you know about a good one? As I am in the US, sadly I do not know of any photographers in AU. Good luck!! Very nice idea with converse=) B/W photos made great. I recommend to use HDR when editing your shoots. http://besthdrsoftwaremac.com/hdr-app-mac/ here some info about existing tools you can use. Have a nice day!